Mike is past president of the Montana Association of REALTORS®, has twice been honored as REALTOR® of the Year, and served as the District Vice President for the National Association of REALTORS® for a five state region. Mike was previously MLS chair for the Gallatin Association of REALTORS®. Currently Mike serves as Federal Policy Coordinator for Montana Senator Steve Daines. Mike has two grown sons, a golden retriever and coton puppies and plays the guitar in his spare time. Dan Ermatinger, Broker/Owner of Berkshire Hathaway HomeServices Montana Properties moved to Missoula to attend the University of Montana in 1976 and holds a B.S. degree in Wildlife Biology. In 1991, he received his real estate license. Dan holds the professional real estate designations CRB, Certified Residential Broker Manager, GRI, Graduate REALTORS® Institute, and SFR, Short Sales and Foreclosure Resource. He is an active member of the Montana Association of REALTORS®, Forms Committee member and Immediate Past-Chair. Dan’s primary professional interest is helping people. He enjoys working with his agents and the clients they serve. Dan has been an active member of the Missoula community and served on many professional and private boards over the years. Dan and his wife Darcy have two bright, athletic children and two rambunctious dogs. Together, they enjoy spending time in the great outdoors. 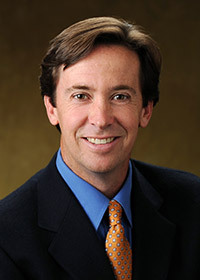 Craig Danenhauer is responsible for budgeting, forecasting and financial reporting for the company. After moving to Bozeman, MT in 1996 to earn his degree in Finance, Craig began his career with Prudential Bozeman Real Estate in 2001 and has been an integral piece of the growth of Prudential Montana in the years that have followed. Craig serves on the company’s Board of Directors and is actively involved in strategic planning for the company’s long-term future. In addition he is involved in revenue growth initiatives including the development of compensation models and is responsible for the analysis of acquisitions including recommendations on acquisition strategies. When he is not working, Craig and his wife Nicole stay busy with their 3 children doing everything from skiing, hockey, gymnastics, golf and tennis to simply enjoying the outdoor splendor of Montana. Mary Bentley graduated from Montana State University with a Business-Marketing Degree in 2003. In 2006, Mary joined Berkshire Hathaway HomeServices Montana Properties as their Statewide Marketing Director. Mary oversees the creation of marketing plans and implements training programs for the marketing tools and services. Mary continually works to keep our websites, up to speed with the latest real estate technology and trends. Mary is passionate about organizing group volunteer activities with local non-profits. In Mary’s spare time, you can find her with her husband, daughter, friends and Golden Retrievers. She is an avid gym-goer who loves to run, ski, bike and spend time on the local rivers. Mary is on the board of Women Who Wine, a local organization that raises money for charities, and volunteers on the Eagle Mount Marketing Committee. She is also a dog walker volunteer at the Heart of the Valley Animal Shelter and helps coordinate local Marketing Peer Group meetings with Prospera Business Network.